If you’re looking for a product to add a lit-from-within glow to your makeup base, this might be the answer! Or one of, anyway. 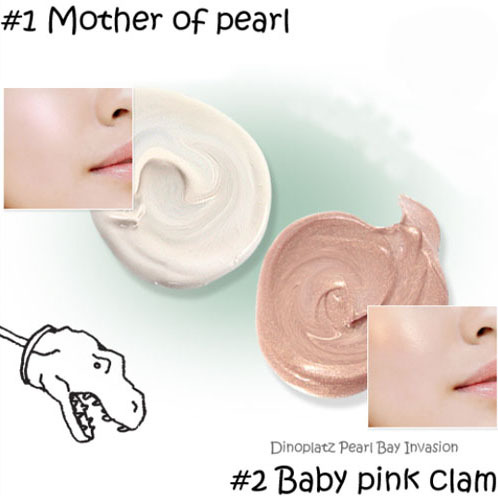 The Dinoplatz Pearl Bay Invasion in #1 Mother of Pearl by too cool for school is a liquid illuminator that you can mix with your face base or use to highlight certain points. — Creates three-dimensional & natural skin through pearls by reflection & curve of light. — 7 ingredients that contain high moisture keep moisturizing skin for hours. — adheres to skin tightly and leaves smooth and refreshing feeling. I don’t know about the rest of its claims—I didn’t particularly feel like this moisturized my skin or refreshed it—but I can vouch for it creating a natural-looking dewiness. I only ever use this mixed in with my face base (1:2, illuminator:BB cream ratio) because the pump dispenses too much product for me to just use it on isolated parts of my face. I’m tempted to depot just a few pumps to use for that purpose, though I find that liquid products are generally a bit messier. The consistency of the product is very liquid-y, and when mixed in with my BB cream of choice, makes the product a little bit easier to spread around the face. Like I said in my illuminator/highlighter inventory, there is a gasoline-rainbow type of sheeniness (lol) going on around here. That’s where the glow comes from, as opposed to actual glitter particles. I got the lighter shade, which is apparently more suited to fairer skin tones. It is white with a sort of pinky duochrome sheen to it, whereas Baby Pink Clam seems to have a pink base and a golden glow. Wiji picked up Baby Pink Clam a few months ago, though, and said that it really leaned more to the gold side. I wish I got that one, but Mother of Pearl seems to work okay on me, yes? Since I use this with a liquid base, I usually top off my face with a translucent or finishing powder, though I didn’t do that for the pictures in this post. 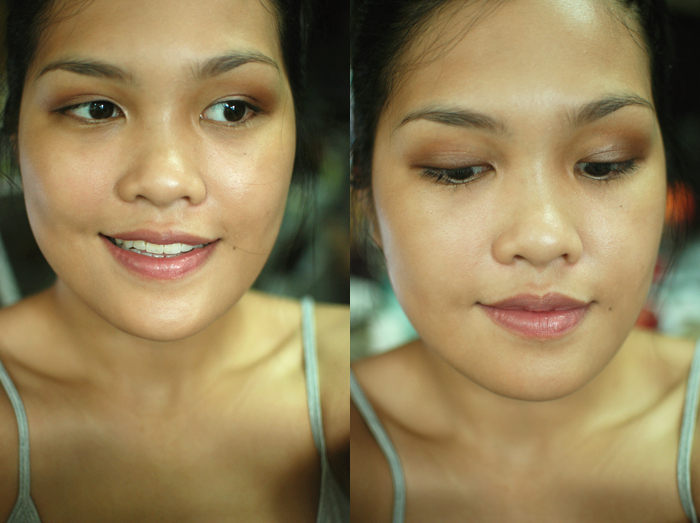 The powder doesn’t diminish any dewiness, but it does help control oiliness because it sets my liquid-y base! All in all, I think it’s a great, mid-range product to try out, which is awesome considering I honestly only bought this for the dinosaurs. Manila’s first branch of too cool for school is located in SM Mall of Asia. 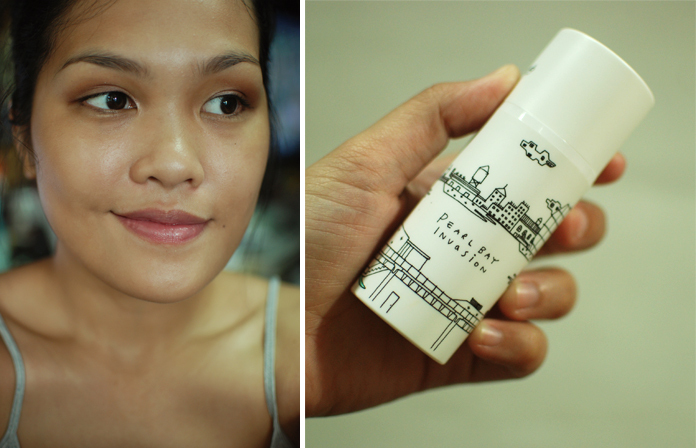 I bought my Dinoplatz Pearl Bay Invasion from Korea Depart for $17.57. I have no information on too cool for school’s animal testing policy. Looks nice! I want the Mother of Pearl too–i’m hoping it’s kinda like the Becca Shimmering Skin Perfector in Pearl. Do they have the same texture, would you say? Texture is a bit different! This one is a little bit more liquidy whereas the BECCA SSP is a little bit creamier. Just a little though. 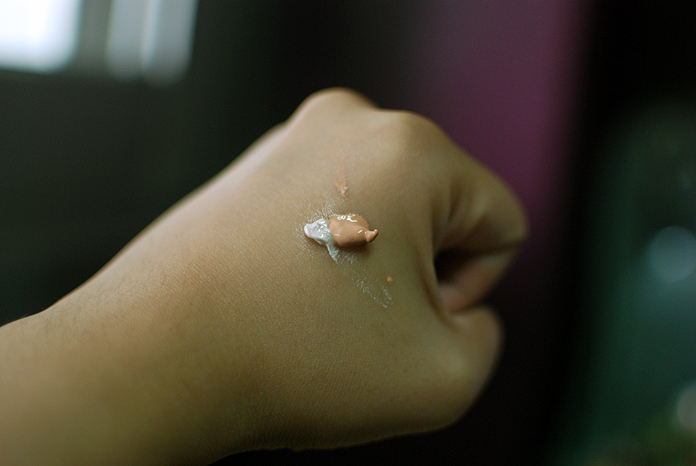 The BECCA has perceptible mica particles, though, but it’d fine when you mix it with another liquid base. Looks great! It gives a really nice and natural glow without looking oil or anything!